I have always had a fascination with public art, especially memorial art. (See my posts on outdoor context and the new MLK Jr. memorial.) Somehow I’ve not kept up with the plans for the World Trader Center site in lower Manhattan. I would have thought that such a significant sculpture would have been included in those plans. 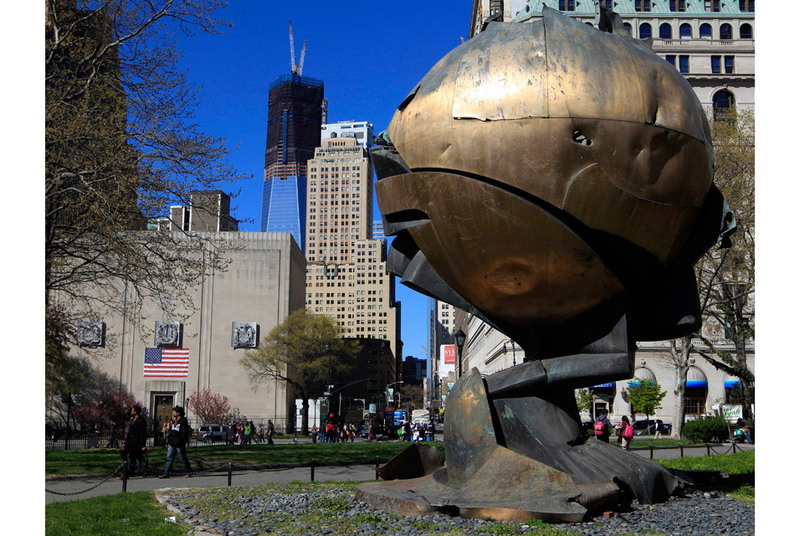 If the “The Sphere” was symbolic before, it is even more so now. Along with cooperation and understanding, you can now add resilience and strength to the intrinsic meaning of this sculpture. The fact that it survived in relatively good condition seems to demonstrate the supremacy of peace and the power of those who work for it. I would rather see this sculpture on display as part of a memorial rather than a portion of the building or an entirely new piece of art. I hope the Port Authority of NYC can find a suitable place for this emblematic sculpture. 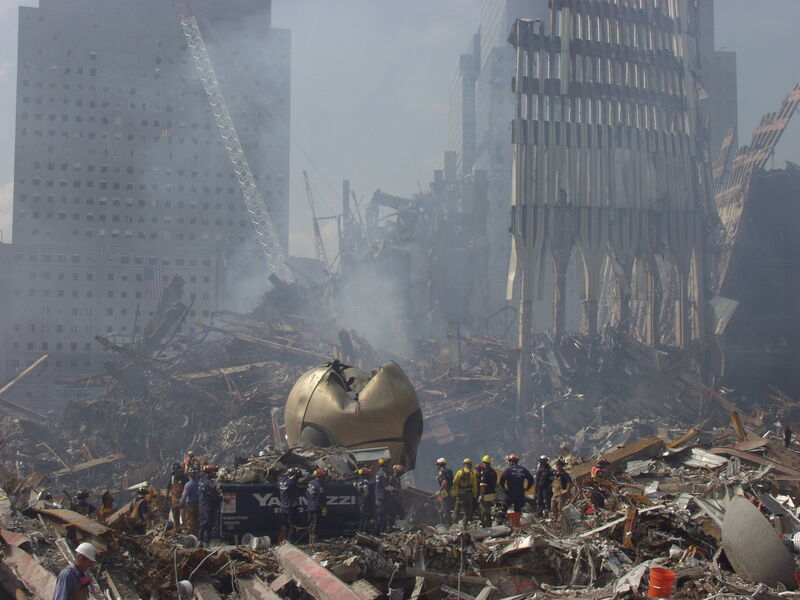 Wow the photo of the sphere in the rubble is chilling.